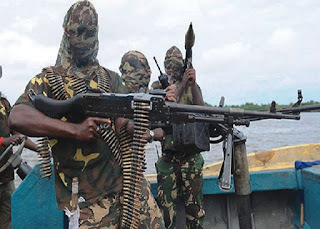 Two people have been killed by unknown gunmen in Tsohuwar Gwari village in Birnin Gwari local government area of Kaduna state. A source from the village said the gunmen invaded the village around 12 midnight on Saturday and kidnapped nine people, including a newly-wedded bride. He added that three of those abducted managed to escape. “They killed two people on the spot and kidnapped nine, even though three people were able to escape,” he said. He called on the government to, as a matter of urgency, come to the aide of the people. Aliyu Mukhtar, spokesman of the Kaduna state police command, confirmed the incident but did not go into details. The tragic incident occurred less than one week after 11 soldiers killed in the area were buried. On Saturday, Zubairu Gwari, emir of Birnin Gwari, asked his subjects to defend themselves against those invading their communities. One of the 23 local government areas in Kaduna, Birinin Gwari has recorded a high level of insecurity in recent times.